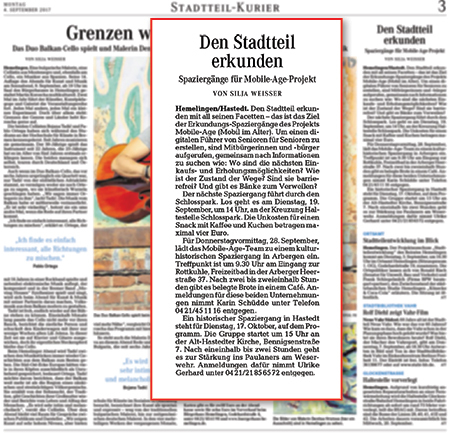 The Mobile Age project was featured on Heraldo with the title “Zaragoza hosted the German and Greek partners of the European project Mobile Age”. 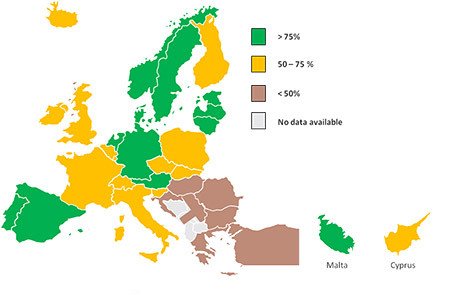 The latest eGovernment benchmark report shows significant improvement on cross-border availability of digital public services and accessibility of public websites from mobile devices in EU Member states. The study also indicates a need for improvement in transparency of public services delivery and use of supporting technology like eIDs or eDocuments. The European Parliamentary Research Service recently published a briefing on the role of eGovernment in deepening the Single Market. This briefing maps the current situation in terms of eGovernment deployment throughout Europe and lists the existing policy responses. All the European Union Member States and EFTA countries signed the 'eGovernement Declaration' in Tallinn on 6 October 2017. The declaration was signed during the Ministerial Meeting which took place in the framework of the eGovernement Ministerial Conference. Local and regional administrations have an important role both in modernising administrations and services in areas of importance for society, and in taking responsibility for directly providing their citizens with services shaped to meet expectations in an increasingly digitalised world. Hemelingen/Hastedt. Exploring the district with all its facets - this is the aim of the Mobile-Age project's exploration walks. In order to create a digital guide for senior citizens, fellow citizens are called upon to search together for information such as: Where are the nearest shopping and recreational facilities? How is the state of the roads? Are they accessible? And are there benches to linger on? On the 30th of August we took another walk for the Mobileage project in Hemelingen. 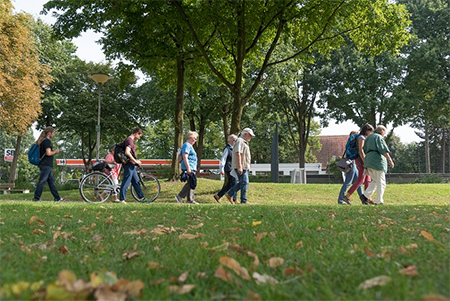 In order to generate data, we walked through the “Schlengpark” and the neighbouring residential areas together with seven elderly citizens from Hemelingen. Today we tested the digital district guide Osterholz for the first time on site. 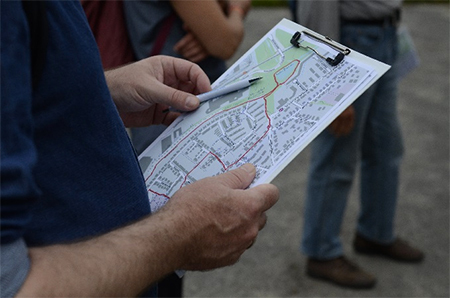 With a small group of participants we walked to different routes of 5 and 6 Km and thereby explored several of the nice places and routes that we have described in our district guide.